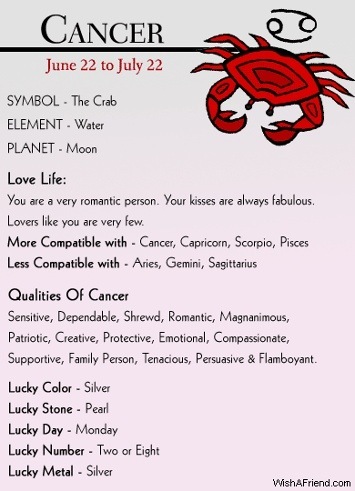 I am a Cancer and it ABSOLUTELY fits my personality. Most of you know I am big on Zodiac. I’ve been studying it since I was 15. Of course life experiences add to your personality, but I think the root of everything and how you react to things starts with your zodiac.